The San Diego Sector of the Border Patrol is responsible for patrolling a 70-mile segment of the border from the Pacific Ocean to the western edge of Imperial Valley. The existing support facilities for the San Diego sector were inadequate to support the number of agents and other staff stationed there and expansion was not feasible for various reasons. In addition, planned staff increases were going to necessitate facility expansion. Therefore, the Border Patrol needed new support facilities to efficiently conduct their mission and provide adequate support services. 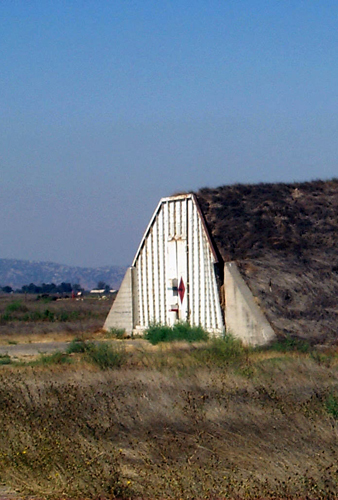 A new support facility was planned on a 50-acre parcel directly north of the Brown Field Airport in the Otay Mesa area of southwestern portion of San Diego County, California. The project includes an air operation facility, vehicle maintenance garage, facilities maintenance shop, electronics shop, fuel island and vehicle wash area, vehicle parking areas, and an offsite storm drain. Under contract to the US Army Corps of Engineers, Aspen prepared an Environmental Assessment and Biological Assessment for the project. This work included biological field surveys to confirm plant and animal species on the project and alternative sites. In addition, soil samples were collected and analyzed to assess the potential for contamination prior to development of vehicle maintenance facilities. To avoid impacts to sensitive biological resources, changes to the project were implemented that made consultation under the Endangered Species Act no longer necessary.